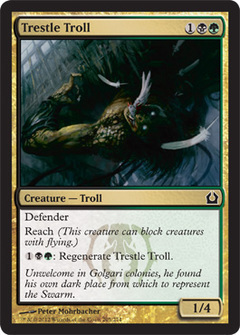 Angel of Serenity ($0.74) Price History from major stores - Return to Ravnica - MTGPrice.com Values for Ebay, Amazon and hobby stores! 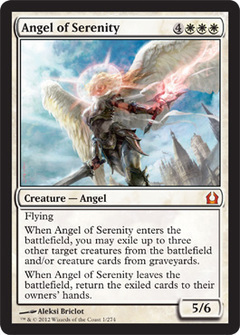 Card Text: Flying When Angel of Serenity enters the battlefield, you may exile up to three other target creatures from the battlefield and/or creature cards from graveyards. 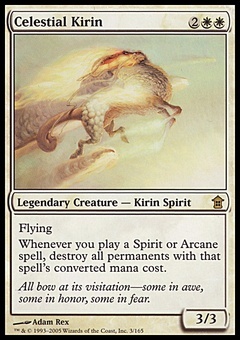 When Angel of Serenity leaves the battlefield, return the exiled cards to their owners' hands.